4 combinations. 3 color options. 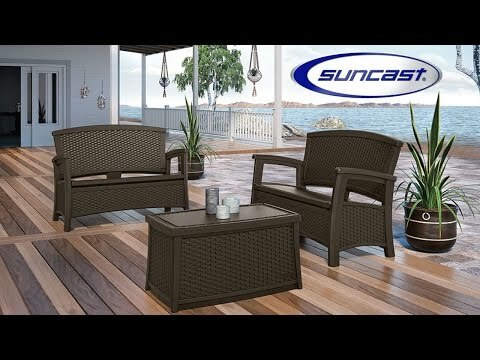 Designed with you in mind, the Suncast ELEMENTS Collection comprises a versatile selection of furniture and accessories to mix and match, so you can create the perfect outdoor space that reflects your unique character and style. 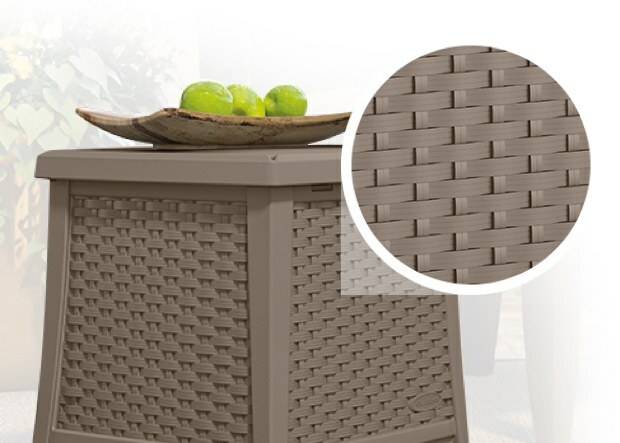 Eye-catching wicker patterns line all ELEMENTS products to elevate your outdoor space. 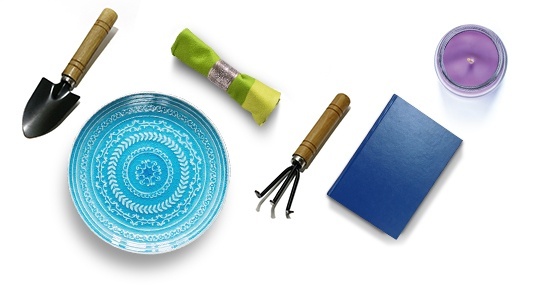 There also available in 3 different color options. 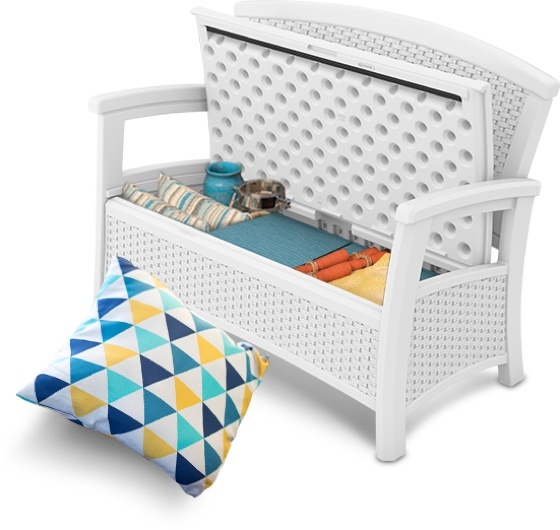 All ELEMENTS products feature extra storage space (11 to 30 gallons) to free up more space for relaxation and to declutter your patio or backyard. 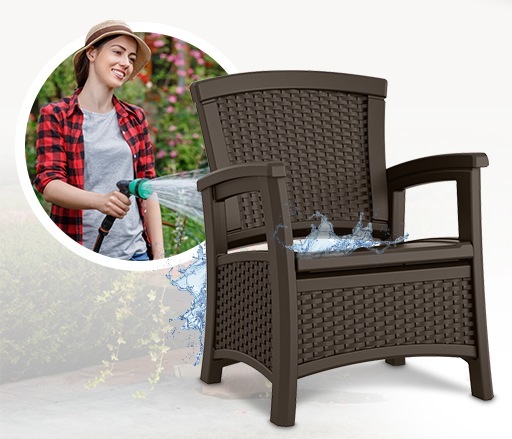 Taking care of your ELEMENTS furniture couldn’t be simpler; Just soap and spray. The durable, resin construction withstands nature’s elements.